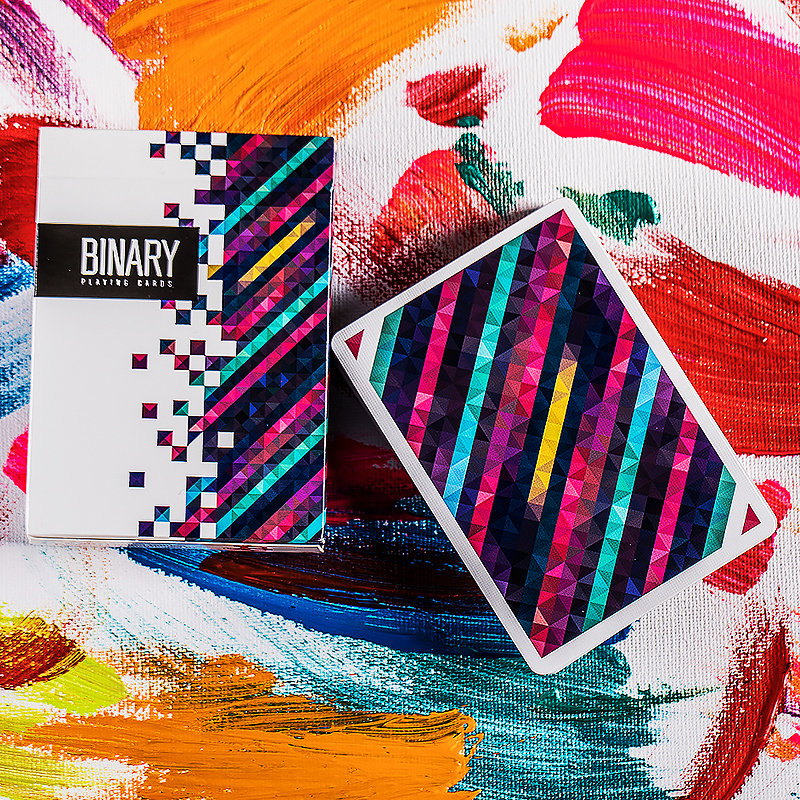 The original design inspiration of Binary Playing Cards derived from one loading picture, just a mundane Mosaic screen but hit the designer instantly. It is a result of the combination of modern technology and traditional western aesthetics. Right triangle and the square formed by it are the main elements of the design. As to the color scheme, it depicts the features of painted glass and ancient Greek mosaic art. A strong sense of strength and passion is the first impression given by this deck. The tuck is modern and stylish. The flawless card back design dazzles your eyes. All the patterns are consistent with the overall style. Modern simplicity is always the eternal melody of playing card designs. Binary Playing Cards are printed by USPCC. Casino stock coupled with Air-cushion finish. Stunning appearance comes with finest quality, best option for cardists and magicians! • The cards are poker size.